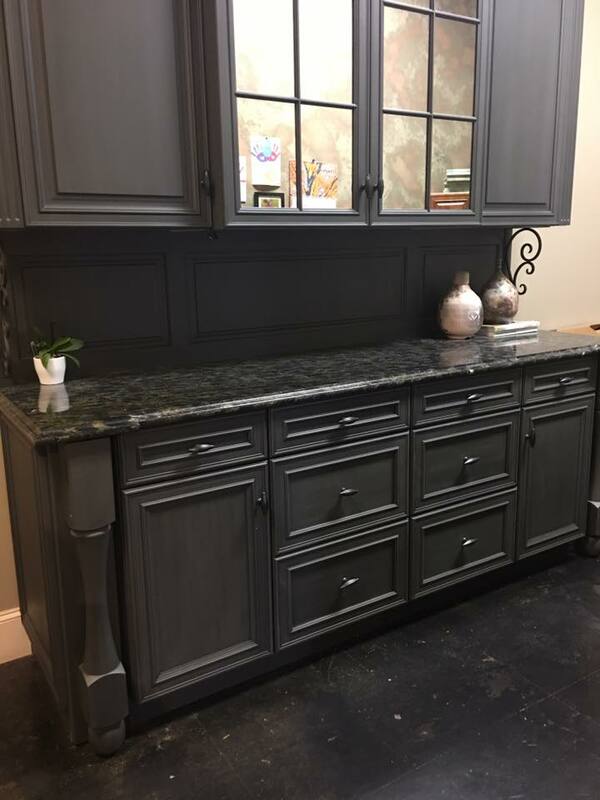 Beautiful Display Gray Hutch with a 3-3/4″ stacked dentil crown moulding. 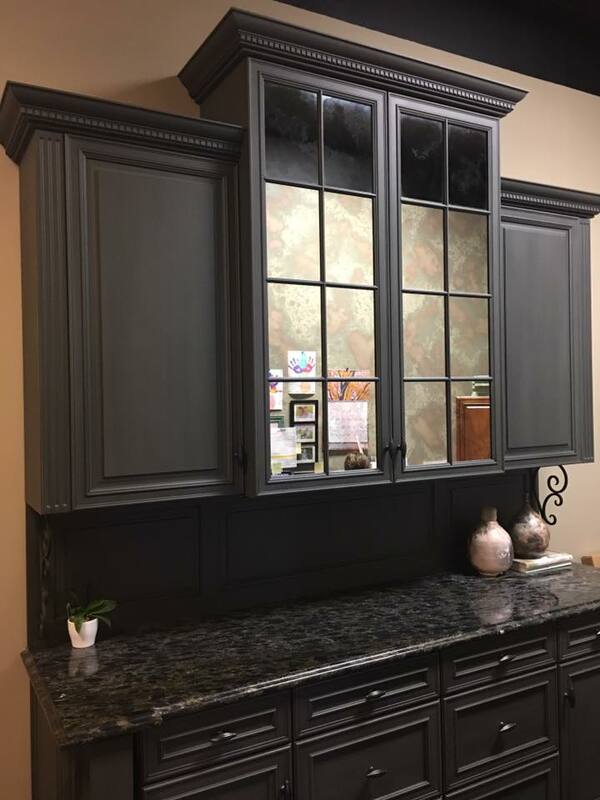 Featuring antique mirror glass and adjustable shelves in wall cabinets. 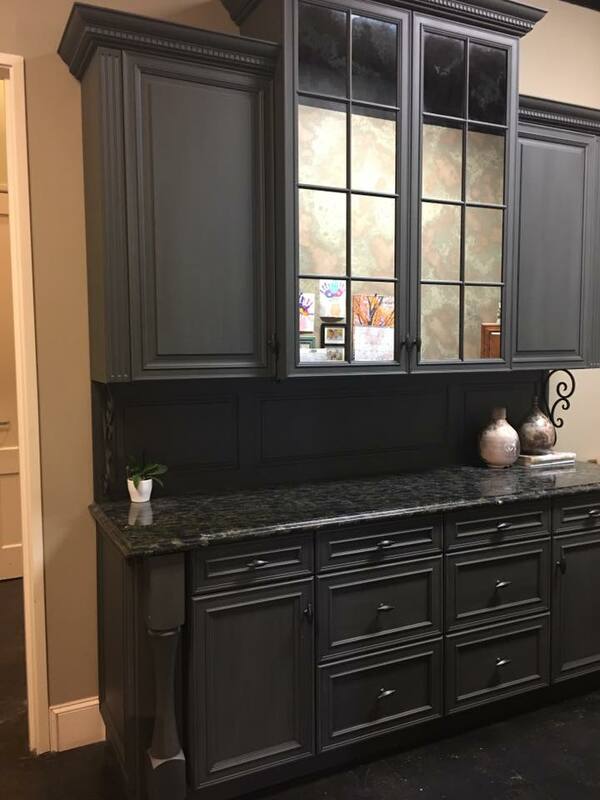 Decorative paneled backsplash, granite top and decorative steel brackets on either side. 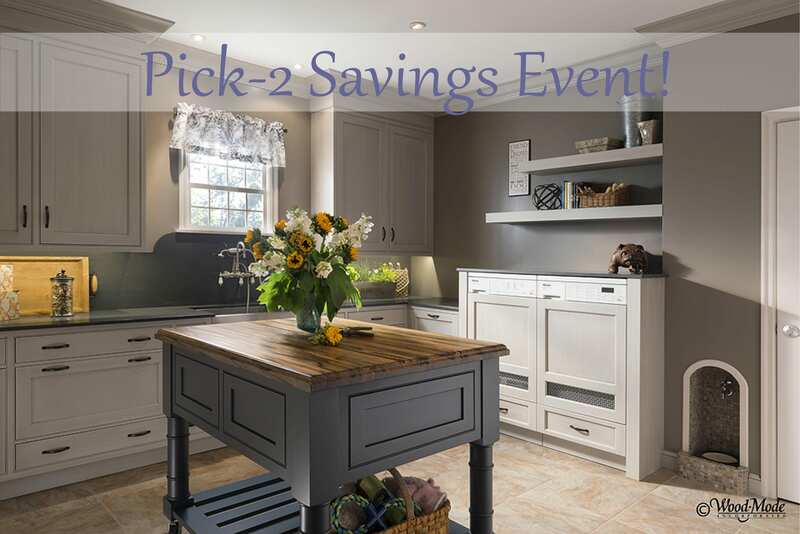 Mostly drawers throughout the bottom, roll-outs, and pull-out decorative legs for storage. Display will be disassembled and ready for pick up. 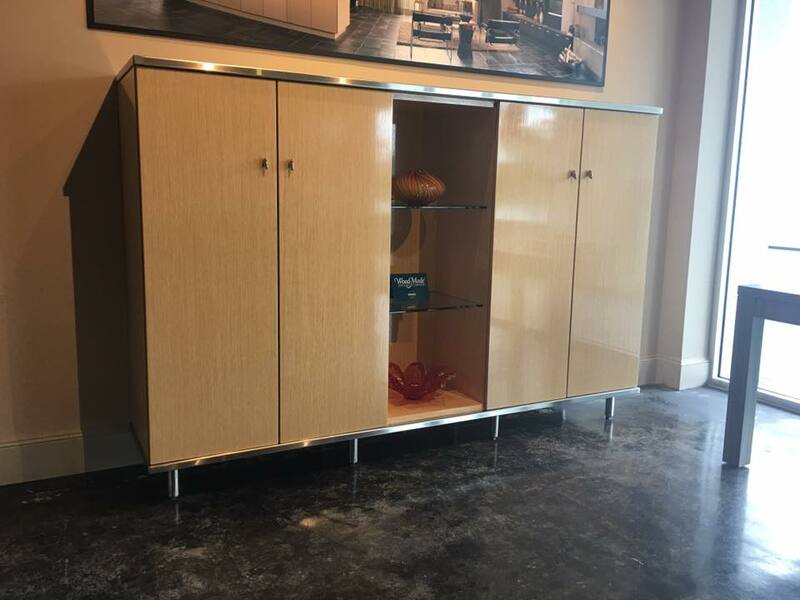 Beautiful Modern Wood-Mode Hutch with a custom stainless steel top, bottom and legs. 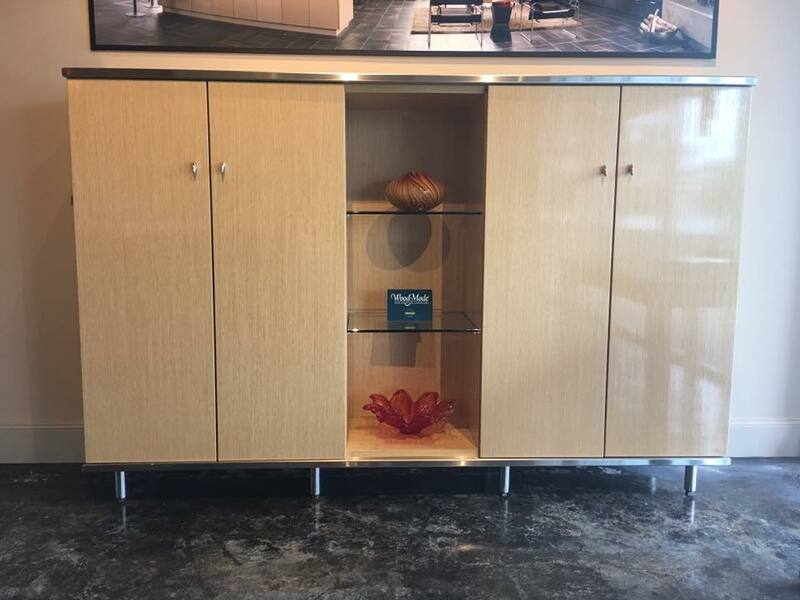 Featuring glass shelves in the center and adjustable shelves on either side for storage. Vanguard Plus on Natural High Gloss Rift Cut finish.